Best Mercedes-Benz car repair in Duluth, GA and for all of Gwinnett County and Metro Atlanta. 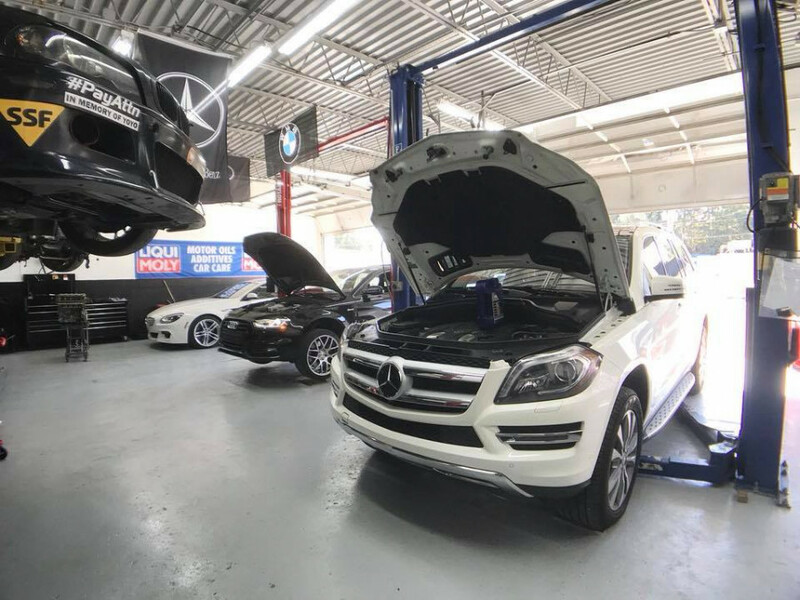 Our experienced service department will keep your Mercedes-Benz in top condition. We use the latest diagnostic technology to provide high-quality service and quick turnaround. Our mechanics are highly skilled and have years of experience in dealership settings. Most of all: they love cars and care about yours. These guys are awesome! I took my vehicle to them and they treated me like they have known me for a while. very knowledgeable and great pieces. Mesa and Ernesto where very honest! I would recommend them in a heartbeat! Guarantee best shop in Atlanta! Find problems and fix them right the first time. They take care of their customers and care about the people who walk through the door. Always feel like family and always feel safe and assured my car is in great hands. Would recommend 11/10! Thanks to all you guys at Eurofed! Hands down, the absolute best place you can bring your car. Whether it’s for routine maintenance or a highly technical, specialized task requiring a combination of knowledge, experience and talent. These are your guys. Did and will continue to bring my vehicle here over any other shop as well as the dealership. Every single time. I brought my Mercedes ML550 to get my brakes checked after the Mercedes dealer gave me a huge estimate. I was very pleased with the professionalism and cleanliness at Eurofed Automotive. From the first greeting to getting the brake repair estimate emailed to me while I was at work, to picking up my vehicle after the repairs were done. I felt taken care of from the start. The cost of the brakes was significantly lower than the dealer, the warranty was double the dealers and I found out they have 3 locations in the Atlanta area. I would give this place 10 stars if I could. I went to the Mercedes Benz Dealership on Boggs Rd and they gave me an estimate for the services needed. At first I thought it was a bit too much and that I wanted to get a second opinion. I googled "Best European repair shops near me" and few options came up. I decided to give Eurofed Automotive in Duluth a chance since they had best reviews. I made an appointment and dropped my car off. The service adviser called me back within few hours and told me the exact same thing the dealership has told me but the price was almost half of what the dealer has quoted me. These guy are definitely the best place for European car repair. My new mechanic place.